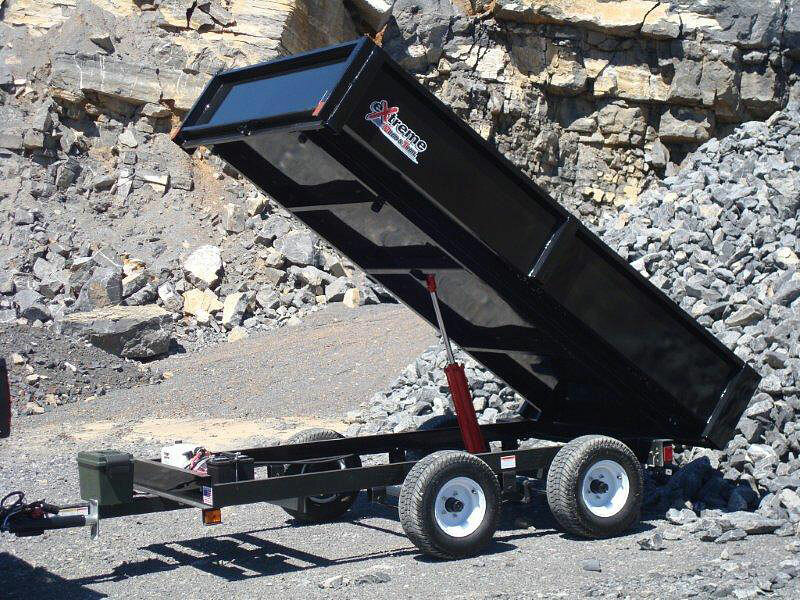 Extreme Road & Trail XRT-4 is at its core a 100% DOT legal hydraulic dump trailer with a hauling and dumping capacity of nearly 2 tons! 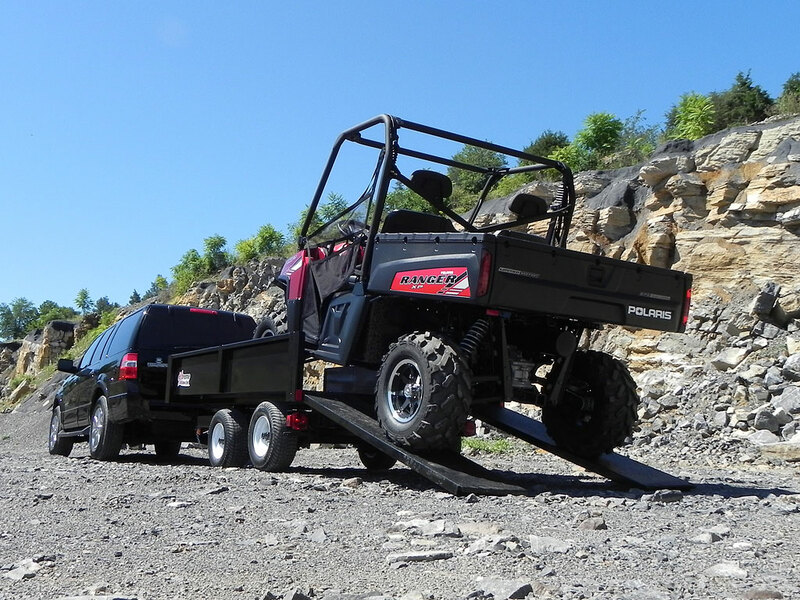 The XRT-4 sports tandem heavy duty axles and 20.5x8” DOT legal ATV style floatation tires that soak up highway miles as easily as they do off-road terrain. 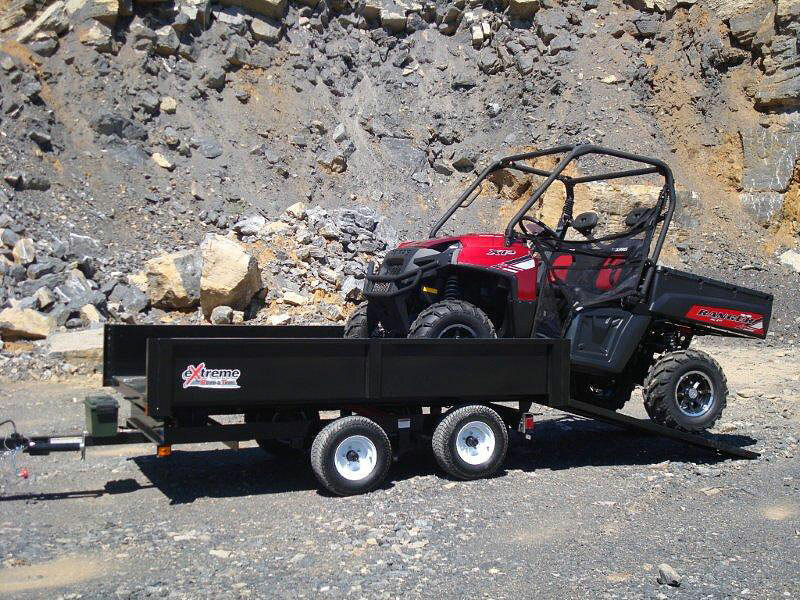 Sized significantly larger than its smaller brother, the XRT-4 is capable of hauling most full sized side-by-side UTV’s, small skid loaders, compact tractors, lawn mowers including zero turn mowers. 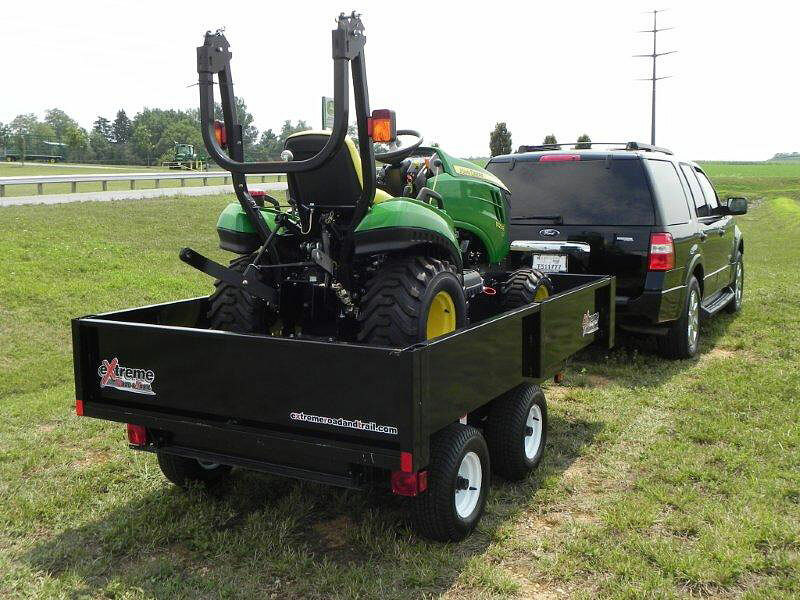 The front and rear gates transform into heavy duty ramps to make loading and unloading the trailer a breeze. 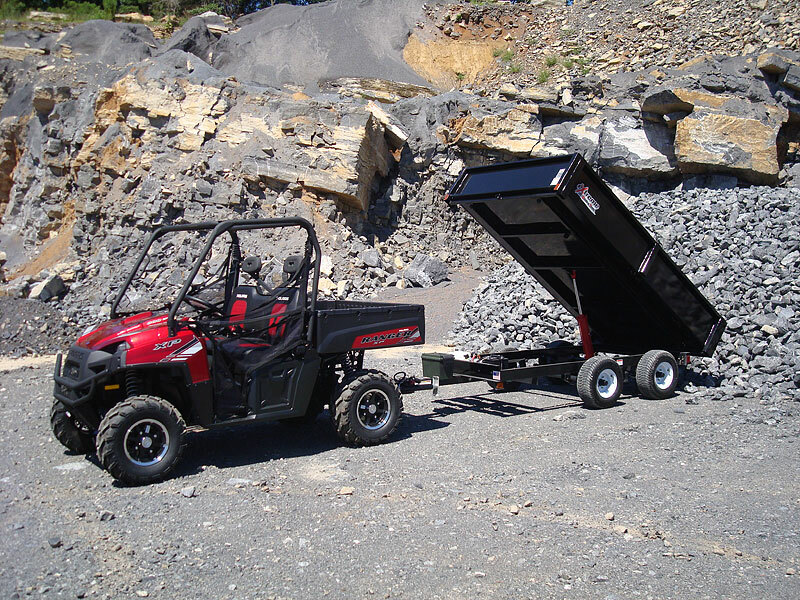 The dump bed is operated remotely by an on board 12V battery powered electric over hydraulic pump and cylinder, allowing the trailer to dump while hooked to a UTV, compact tractor or other off-road tow vehicle. 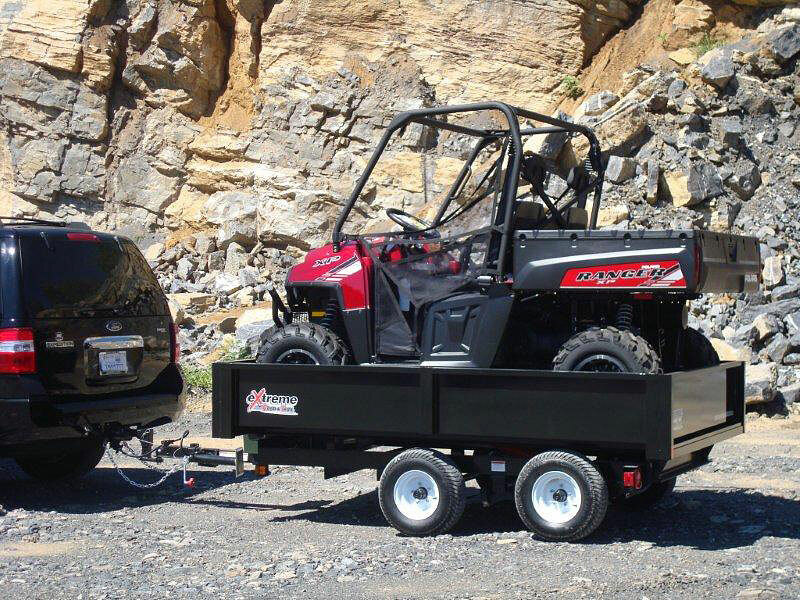 Whether towed by truck around town dumping heavy loads or off-roading behind a UTV the XRT-4 UTV dump trailer is up to the task!